Here is an interesting article on how one can take vintage hand painted hillshade and incorporate it into current imagery in GIS. Click below and read on! Most countries drive on the right hand side of the road. 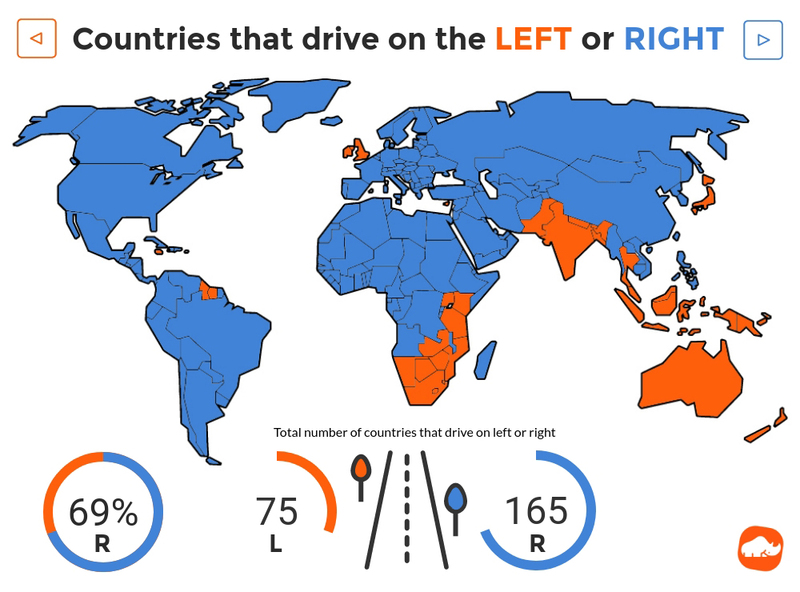 Why do some countries drive on the left hand side? The historical account is that most countries which were British colonies kept to the left hand side of the road. British horseback riders used to ride on the left hand side, thus keeping their right arm free to offer greetings or draw their sword. Similarly, the USA teamsters used to sit on the left hand horse while driving a wagon and therefore kept their right hand free for whipping the other horses, however, later they decided to start driving on the right so that they could see the passing wheels of other wagons and avoid collisions. Another fun fact, Sweden changed from the left to right hand side in 1967.